Robert P. Fulton, 65, of Glenside, a seasoned trial lawyer who served in the Philadelphia office of the Supreme Court of Pennsylvania's Disciplinary Board, died Saturday, March 31, of cancer at Abington Hospital-Jefferson Health. For the last 15 years, Mr. Fulton had prosecuted the cases of lawyers whose ethics or professional conduct had been challenged. Such cases are heard by a three-person committee and then, if warranted, are appealed to a board of 10 lawyers and two non-lawyers. The final step in the appeal process may be a hearing before the state Supreme Court, although most cases are settled before they get that far. Only the court has the power to suspend a lawyer's license. "Bob was a great trial attorney," said Paul J. Burgoyne, chief deputy counsel for the disciplinary board in Philadelphia. "He did an excellent job in that." Burgoyne said the office was on the cusp of organizing incoming cases in a new way, and that Mr. Fulton was about to be promoted to supervisor of the intake process. In that role, his influence would have extended to all incoming cases in Pennsylvania. Because he had been a solo practitioner, with no partner to fall back on, Mr. Fulton was skilled at dealing with clients, Burgoyne said. "The fact that he practiced law himself allowed him to understand the nature of people's complaints, and where there was no violation of the law, to resolve the complaints in some way. He got the client and the lawyer talking to each other." Further, Burgoyne said, Mr. Fulton was an asset to the office at 16th and Market Streets in Center City. "More than his lawyerly skills, he was good for a laugh, for breaking the tension. This work can get you down, and Bob would supply the balance." In 2017, there were 3,707 complaints filed against lawyers in Pennsylvania. Of those, 277 lawyers were disciplined in some fashion. Forty had their licenses suspended, and 35 were disbarred. Mr. Fulton and his eight colleagues handled the cases derived from complaints lodged in Philadelphia. "He was dedicated to protecting the public, maintaining the integrity of the legal profession, and safeguarding the reputation of the courts," his family said in an appreciation. Before his career at the disciplinary board, Mr. Fulton maintained a private law practice for 25 years on South Easton Road in Glenside. Born in Philadelphia to Robert and Jane Fulton, he grew up in East Falls. He attended St. Bridget's Catholic School and graduated from LaSalle College High School before earning bachelor of science and master's degrees, both in chemistry, from Drexel University. He received a degree from Widener University School of Law. 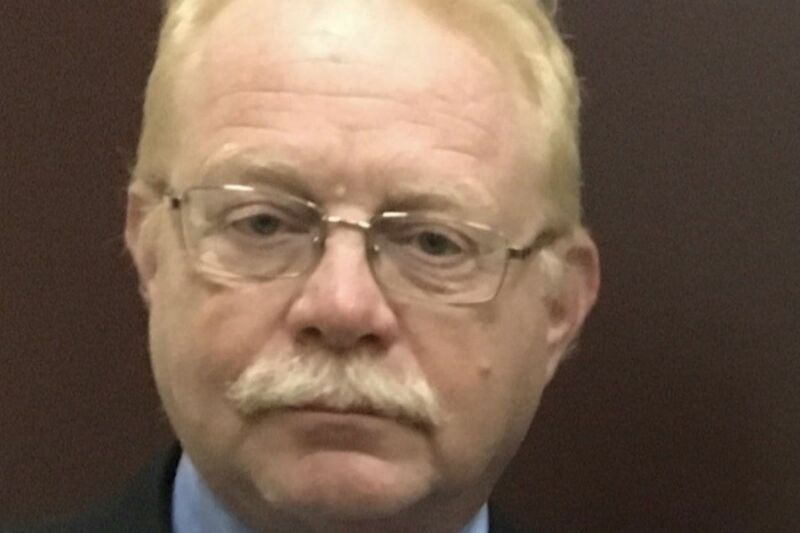 Outside the office, Mr. Fulton was active in civic affairs as an executive board member for the Glenside Fire Company, a poll watcher in Cheltenham Township, and a board member for the Glenside Youth Athletic Club. Mr. Fulton coached Glenside's young athletes at the Glenside Youth Athletic Club and the Fencor AAU girls' basketball teams, a private league program. He also spent several years coaching the girls' basketball team at Harcum Junior College. His passion for sports drove him to competition in baseball, basketball, and golf. Mr. Fulton's crowning achievement came on April 19, 2013, when he shot a hole-in-one at Sandy Run Country Club on the 10th hole, his family said. "We have the golf ball and the club framed," said his daughter Teresa Fulton. Toward the end of his life, Mr. Fulton battled cancer for several months, but that didn't dim his enthusiasm for sports. He asked every doctor he saw what he called the $64,000 question: "Can I go to spring training?" The answer was yes, and Mr. Fulton traveled to Phillies spring training in Clearwater, Fla., in mid-March. "Nothing was stopping him, not even my mom," his daughter said. In addition to his daughter and mother, he is survived by his wife of 41 years, Deborah J. Camillo Fulton; daughter Katie Bateman; five grandchildren; a sister; and nieces and nephews. A viewing from 6 to 9 p.m. Friday, April 6, at the William R. May Funeral Home, 354 N. Easton Rd., Glenside, will be followed by a Funeral Mass at 11:30 a.m. Saturday, April 7, at St. Luke the Evangelist Catholic Church, 2316 Fairhill Ave., Glenside. Interment is in Holy Sepulchre Cemetery. Memorial donations for cancer research may be made to standuptocancer.org.